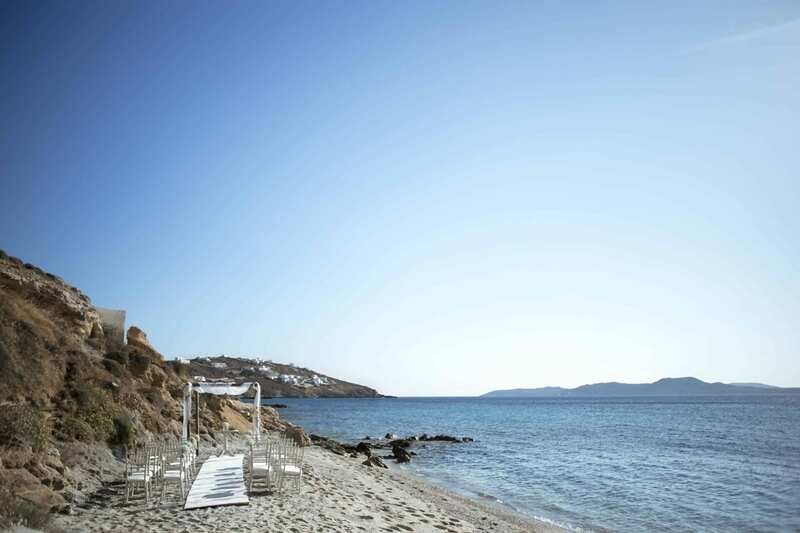 The dream of getting married in Mykonos became reality for Valentina and Alessandro – a couple from Salerno that wanted to organize a destination wedding in this romantic Greek island. After having been there on vacation, they decided that they wanted to return there to celebrate their wedding. 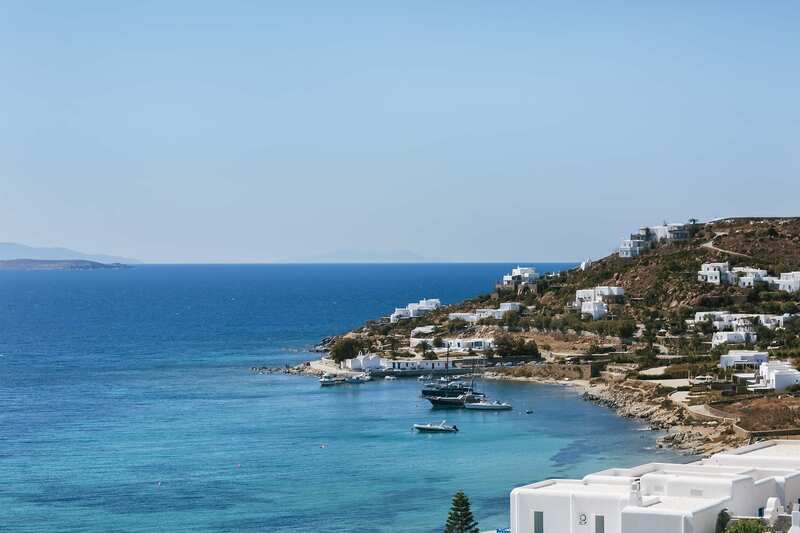 Having already celebrated their civil wedding in Italy, they chose to fly to Mykonos along with 40 of their closest family and friends, offering them a fabulous weekend. 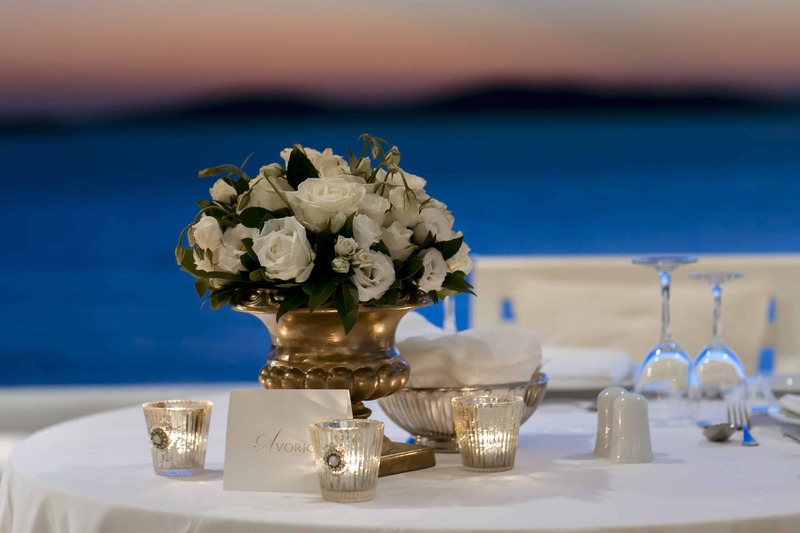 The newlyweds welcomed their guests with a typical Greek-style dinner at Avli Tou Thodori, on the beach of Gialos, where everyone kicked off the weekend celebrations. 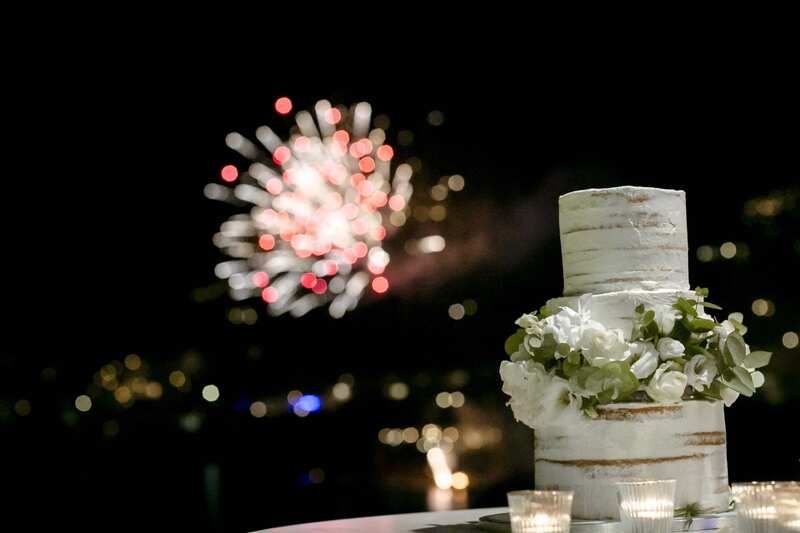 Valentina dream was a simple yet refined wedding, all in white, with touches of gold. 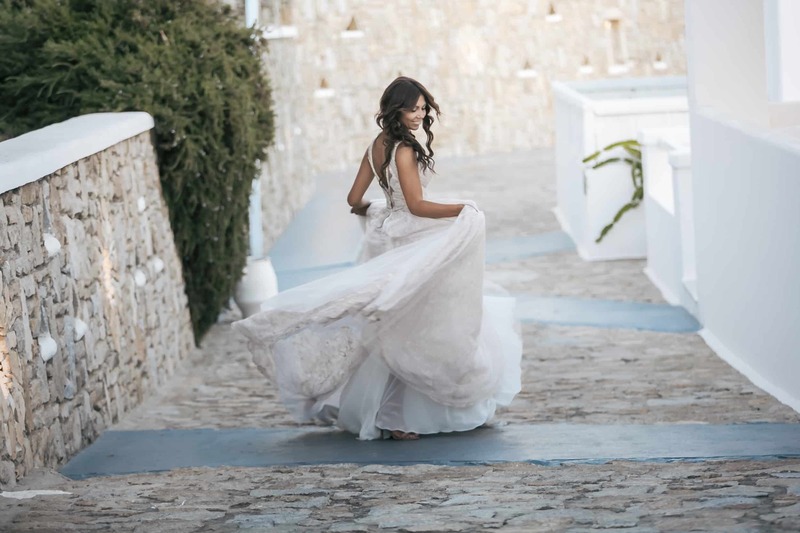 We started by scouting for the ideal location, and, among the many ones that were available, the couple chose St. John Villas & Spa as their wedding venue – a beautiful luxury resort in one of the most stunning areas of the island. 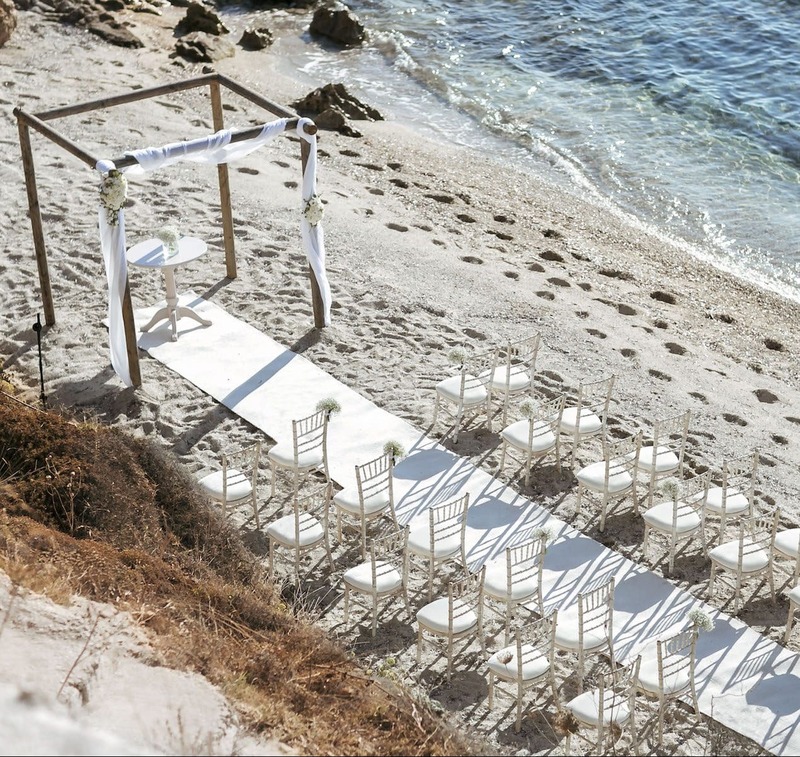 With its private beach and breathtaking views, the venue was the location for both the symbolic ceremony, organized on the beach, as well as the reception by the pool and restaurant, which had been exclusively booked for the occasion. The setup followed the white and gold theme, starting from the simple beach ceremony, where tulle veils that flowed in the wind, to the elegant centrepieces used to decorate the dinner tables, consisting of a gold cup with white flowers. 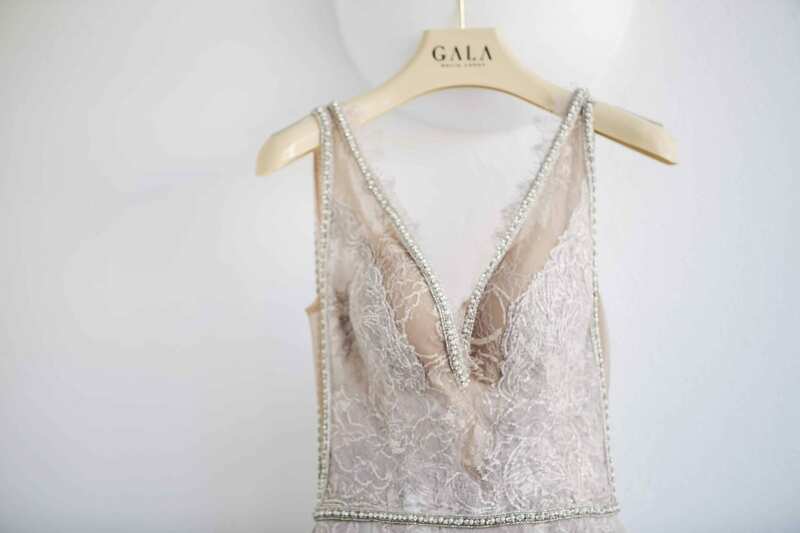 Even the bride’s white dress, styled by Galia Lahav, followed the wedding’s theme and was decorated with a precious golden cloth. The entire day was made truly perfect because of the amazing weather, the impeccable organization and, mostly, the pure emotions of the newlyweds and the good vibrations throughout the celebrations.